***Disclosure-Sponsored Conversation. All opinions stated are my own based on my personal experience. 1) Feed the kids before heading to the park. Save money by eating breakfast at home. Remember the saying, you must wait 30 minutes before you head into the water. This way your food will have already gone down and you won't have any upset tummies. This is also a good way to get your kids to eat all their foods. 2) Plan your day. Get more bang for your buck, get to the park early so you can stay all day. 3) Pack lunch. Bring a family cooler full of food your family loves. I suggest cubing watermelon and freezing it. This will keep it cool and it will be ready to eat when the family is ready for a snack. Bring lots of water. 4) Pick the perfect spot that makes since for you. I like to be close to the restrooms but not too close. I have a toddler that we seem to live in the restroom with lately. Do you want to be in the sun or will you need shade? 5) Protect yourself from the sun. You don't have to break the bank to protect the family from the sun. The dollar store carries sun glasses, and hats. Use the money you save there to buy a good sunscreen. And remember to reapply. I would reapply all the family when you take a break for lunch. 6) Have fun! Try the water slides. Sit on a tube on the lazy river. Lay in the water. Make memories with your kids. 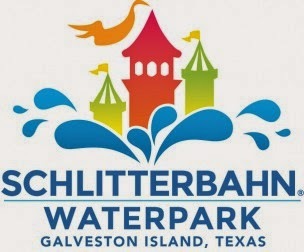 So head on down to Galveston to Schlitterbahn. Their parking is free, no tube rental fee, and their food prices are reasonable and healthy options abound. Did you know the Schlitterbahn in Galveston is the World's favorite indoor park? And don't forget to try the inland surfing ride, the Boogie Bahn.